Attorney Siegel's very first trial involved a motorcycle accident in which he recovered a verdict of One Million Dollars for the passenger on the motorcycle. Attorney Siegel has represented numerous riders and has achieved a strong record of success recovering money damages for riders who have been injured and families who have lost a loved one in a fatal motorcycle accident. Thousands of motorcycle accidents occur every year because of negligent car and commercial truck drivers who claim, "I didn't see the motorcyclist." Unfortunately when a car and motorcycle collide there is little protection for the rider. As a consequence many injured motorcycle riders suffer disfigurement and catastrophic spine and head injuries that can result in a lifetime of medical bills and pain. 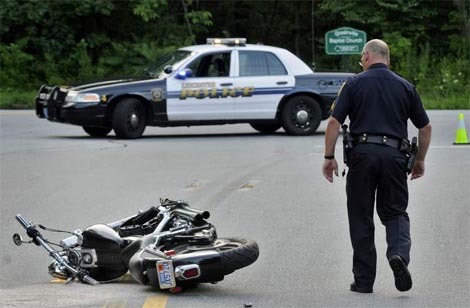 Motorcycle accidents often leave victims in a state of devastation. The victims often suffer from serious injuries which leave them unable to work while medical bills which they can't afford to pay accumulate. It doesn't seem fair because it isn't. Pursuing legal action may be the only way to gain the compensation necessary to continue to live life as close as possible as it was prior to the collision.